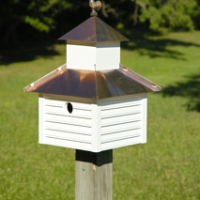 Pleasing to the eye, a pleasure for your avian friends, Heartwood homes are classically constructed to ensure beautiful, maintenance-free hospitality for generations to come. And so many choices! Ready for sweet success? The art and science of bee keeping made simple with the right wooden ware products built for performance and ease (including Freeman beetle traps). Bee smart with Heartwood! Heartwood’s happy harvest! Kiln-dried cypress for the ages, in milled lumber, flooring, paneling and siding. Enjoy this wonderful wood in our fine furnishings and home décor. From our showroom to your home! If you’re looking for wholesale pricing, please complete our application to get started.